Lifetime Industries, Inc. v. Trim-Lok, Inc., 2017-1096, (Fed. Cir. Sept 7, 2017) (“hereinafter “Lifetime”) is an appeal involving a dispute over the correct pleading standard in the context of allegation of infringement of a patented product. The appeal resulted in the reversal of a district court’s final judgment granting Trim-Lok, Inc.’s (“Trim-Lok”) motion to dismiss Lifetime Industries, Inc.’s (“Lifetime”) complaint for failing to adequately allege that Trim-Lok either directly or indirectly infringed claims of its U.S. Patent 6,966,590 (’590 patent). Although the appeal was about the sufficiency of pleading requirements, it appears that the district court was not very clear about what constitutes infringement when not all of the components of a patented product are made by the same party. The ’590 patent describes a two-part seal for use in mobile living quarters (“recreational vehicle” or “RV”) with a slide-out room. Such seals protect the interior of the quarters from water, debris, and excessive air drafts. Unlike prior art seals which had to be separately mounted to both the slide-out room and the wall of the RV and were difficult to adapt to different RV models, or difficult to replace, the claimed two-part seal is described as being easily adaptable for installation on different slide-out room configurations as well as easily assembled and installed. Lifetime’s complaint alleged that Trim-Lok both directly and indirectly infringed the ’590 patent. The complaint stated that two of its engineers with knowledge of the products covered by the ’590 patent left the company and within a month began working for Trim-Lok. The complaint also stated that soon thereafter, Trim-Lok, for the first time, offered for sale a two-part seal for an RV with a slide-out room. Also, a Lifetime representative was stated to have discovered a two-part Trim-Lok seal installed on an RV with a slide-out room at a plant run by an RV manufacturer. The core of Lifetime’s allegation is that by causing the two-part seal to be installed on the RV, Trim-Lok either directly or indirectly infringed the ’590 patent. In support, Lifetime stated that at least one representative, agent, or employee of Trim-Lok visited the RV manufacturer’s plant while acting on behalf of Trim-Lok and directly installed Trim-Lok’s two-part seal onto an RV having a slide-out room. Lifetime at 5. Lifetime also alleged that the Trim-Lok agent installed the seal for the purpose of test fitting the seal on one of the manufacturer’s RV and to solicit sales of the seal. With regard to induced infringement, Lifetime alleged that “making, using, offering for sale and selling of an RV having the accused product (i.e., the two-part seal)” by the RV manufacturer constituted infringement, and that Trim-Lok influenced the manufacturer to include the two-part seal in their RVs, knowing that such combination would satisfy all elements of at least one claim of the ’590 patent. Lifetime at 5. Lifetime further alleged that employees or representatives or agents of Trim-Lok assisted in or directed the installation of the seals. For these reasons, Lifetime alleged, Trim-Lok induced the RV manufacturer to infringe. Regarding contributory infringement, Lifetime stated that the only purpose of the two-part seal sold by Trim-Lok was use on RVs with slide-out rooms, and that the seals were not staple articles of commerce suitable for non-infringing use. The district court dismissed Lifetime’s direct infringement allegation. It determined that although Lifetime had adequately identified the accused product, it had failed to adequately plead direct infringement since the claims require both a two-part seal and an RV, and Trim-Lok only manufactures seals. Lifetime at 6. Lifetime’s argument that Trim-Lok had assisted with or directed the installation, or had directly installed the seal, was rejected by the court as confusing liability for direct infringement with that for contributory infringement, which the court viewed as imposing liability based on an offer to sell a component material or apparatus. Id. Lifetime’s indirect infringement allegations were rejected on the basis that the company had not alleged any facts from which intent to infringe could be inferred. Id. On appeal, the Federal Circuit found that Lifetime’s pleading was adequate. It explained that to survive a motion to dismiss under Rule 12(b)(6), a complaint must contain sufficient factual matter, accepted as true, to state a claim to relief that is plausible on its face. Lifetime at 7. The court reminded that this requirement is met if the plaintiff pleads factual content that allows the court to draw the reasonable inference that the defendant is liable for the misconduct alleged. Id. To meet this requirement, however, a plaintiff must do more that plead facts that are “merely consistent with a defendant’s liability,” the court added, quoting Bell Atl. Corp. v. Twombly, 550 U.S. (2007) (“Twombly”) at 557. Id. Note that the court had previously stated that a complaint that merely pleads facts that are consistent with a defendant’s liability “stops short of the line between possibility and plausibility . . . .” In re Bill of Lading, 681 F. 3d (Fed. Cir. 2012) (“Bill of Lading”) at 1332, (quoting Twombly at 546). Thus, plausibility requires more facts than that needed to just support possibility but less than that needed to support a probability of infringement. Note also the court’s statement in Twombly that a well-pleaded complaint may proceed even if it strikes a savvy judge that actual proof of those facts is improbable, and that a recovery is very remote and unlikely. (Twombly at 556). Addressing direct infringement, the court found that Lifetime’s allegation that Trim-Lok installed the seal onto the RV amounted to an allegation that Trim-Lok made an infringing seal-RV combination. Lifetime at 11. The seal-RV combination directly infringed since assembling the components of an invention is an act of making the invention. Id. The court illustrated this manner of infringement with two precedents. In one precedent, Golden Blount, Inc. v. Robert H. Peterson Co., 438 F.3d 1354, 1362 (Fed. Cir. 2006) (“Golden Blount”), the court had affirmed a finding of infringement of claims to a combination of a primary and a secondary fireplace burner, because each time a secondary burner was attached to a primary burner by the alleged infringer or an end-user, the combination was infringing. Lifetime at 10-11. The court below had found that even though the alleged infringer was selling its secondary burner to distributors packaged separately from the primary burner, it had both directly infringed the claims covering the combination of burners by assembling the entire apparatus itself on a number of occasions, and indirectly infringed, by selling the secondary burner with instructions leading end-users to assemble the device into the claimed configuration. Golden Blount at 1360. Referring to another opinion, Siemens Med. Sols. USA, Inc. v. Saint-Gobain Ceramics & Plastics, Inc., 637 F.3d 1269, 1290 (Fed. Cir. 2011), the court reminded that not only commercial manufacture, but even limited internal manufacture of a combination can infringe, pointing out that in that case it had remanded for determination of reasonable royalty damages where infringing product was made, but not sold. Lifetime at 10. The court further reminded that there was no requirement that a case be proved at the pleading stage and noted that precedents only required that a complaint place the alleged infringer on notice of the infringement. The court pointed out that Lifetime had identified, where and when the alleged infringement occurred, who performed the infringing act (an agent/employee of Trim-Lok) and for what reason (to test fit the seal onto the RV and to solicit sales). Therefore, according to the court, when reasonable inferences were drawn in Lifetime’s favor, its pleadings were sufficiently plausible to survive a motion to dismiss. With regard to indirect infringement also, Lifetime’s pleading was found to be adequate. Lifetime’s allegation stating that two of its former engineers (who had knowledge of the ’590 patent) had joined Trim-Lok prior to the infringing activity, was sufficient to plead that Trim-Lok had knowledge of the patent. Lifetime at 14. Lifetime had also alleged that with knowledge of the patent, Trim-Lok had assisted in or directly installed exactly the same type of seal as described in the ’590 patent. This showed intent to infringe. Id. The court noted that Lifetime had also alleged that Trim-Lok had never made or sold these particular seals before gaining knowledge about them and that the seals had no non-infringing use. The court referred to Bill of Lading at 1339 to point out that in that case, even though it was unclear if the claimed method had been performed, i.e., if there had been direct infringement, the patent owner was found to have had adequately pleaded intent where it had alleged knowledge of the patent and plausibly pleaded that the claimed method had been performed by the defendant’s customers. Lifetime at 14-15. Given that there was direct evidence that the two-part seal was installed on an RV, Lifetime’s pleaded facts, the court noted, were at least as strong as those in Bill of lading. Lifetime at 15. From these facts the court concluded that, viewed in Lifetime’s favor, one could reasonably infer that Trim-Lok intended to induce the RV manufacturer to infringe. The court reminded, referring again to Bill of Lading, that a plausibility requirement was not akin to probability requirement and that plausibility simply called for enough facts to raise a reasonable expectation that discovery will reveal that the defendant was liable for the misconduct alleged. Lifetime at 14. Given that someone must have installed the seal on the RV at the RV manufacturer’s plant, the court said that the two plausible installers were either Trim-Lok employees or RV manufacturer’s employees. Lifetime at 16. If it was Trim-Lok employees, Trim-Lok may be liable for direct infringement; and if it was the RV manufacturer’s employees, then Trim-Lok may be liable for indirect infringement. Id. Regarding contributory infringement, the court stated that to the extent, the district court dismissed Lifetime’s contributory infringement allegations for failing to plausibly allege that Trim-Lok intended to infringe, it erred, because contributory infringement requires proof of a defendant’s knowledge, not intent. The court had already determined that Lifetime had adequately alleged that Trim-Lok had knowledge of the patent. Also, Lifetime’s complaint included the allegation that the two-part seal sold by Trim-Lok was not a staple article of commerce suitable for any non-infringing use. In sum, the Federal Circuit opinion in Lifetime is a good refresher on sufficiency of facts needed for filing a complaint alleging patent infringement. It is a refresher also on proving infringement resulting from assembly of components to make the claimed product when not all of the components are made by the same party. Sanjeev Mahanta, Ph.D., J.D. 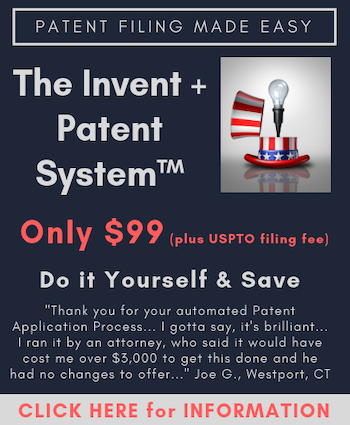 is an attorney in the Patent group of Arent Fox, LLP. Sanjeev’s practice focuses on prosecution of domestic and international patent applications. Sanjeev helps clients obtain patents across a wide technology spectrum including biotechnology, pharmaceuticals, chemistry, materials science, and medical device. For more information or to contact Sanjeev, please visit his Firm Profile Page.